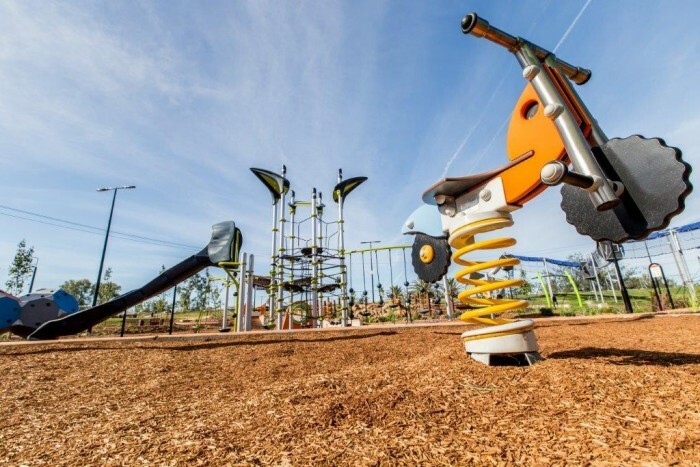 Designed with WOW FACTOR, Tamworth’s multi-million dollar playground officially opened in December 2015, just in time for the school holidays! The park is the city’s first so-called “smart precinct” and boasts one of the biggest slides in the southern hemisphere. Tamworth’s Mayor, Col Murray said the project had evolved significantly since its initial design had been made public the previous year. 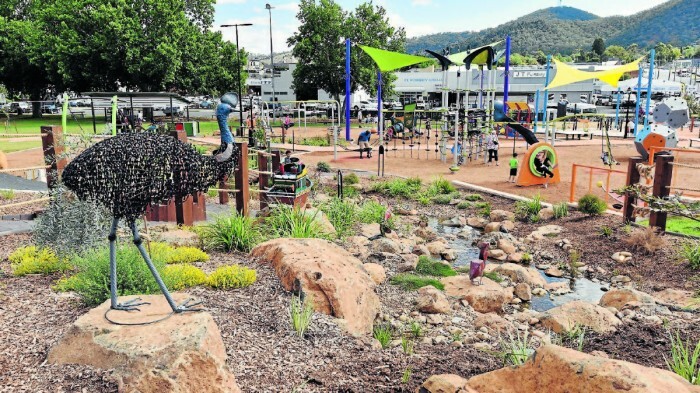 “There was a high level of community interest in the project and Council has been bowled over by the level of support it received from local businesses through donating their expertise, services, products and equipment. This has meant the facility has become bigger and better than we ever imagined” he said. 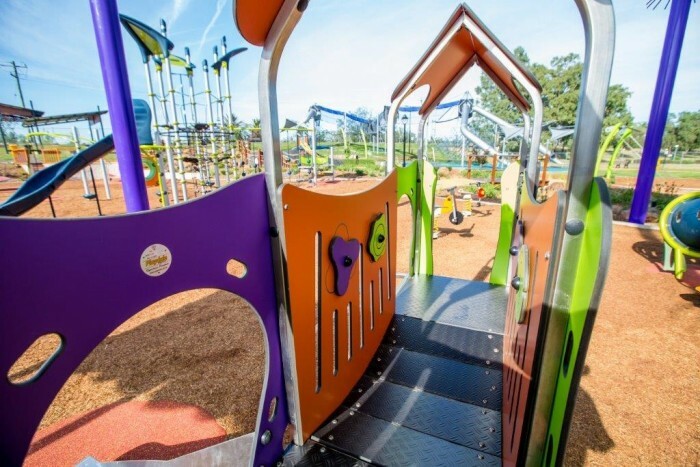 “There is no doubt Tamworth Regional Playground has a real wow factor which will not only make it a much used facility by local residents, but result in more visitors from neighbouring north west communities and further afield. 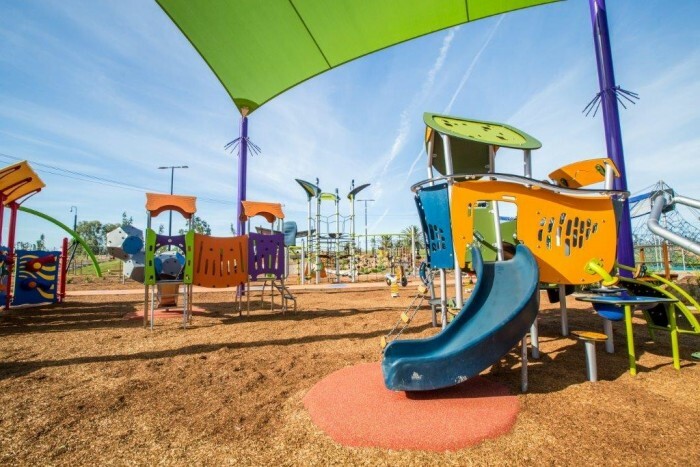 The design includes our NetPlex climbing play system, Smart Play Motion and Little City Oslo units for the toddlers, a Double Arch Swing with Birds Nest Seat, Stand Up Spinners, Rubber Domes and Wooden totems adding additional sensory and tactile elements to the space. 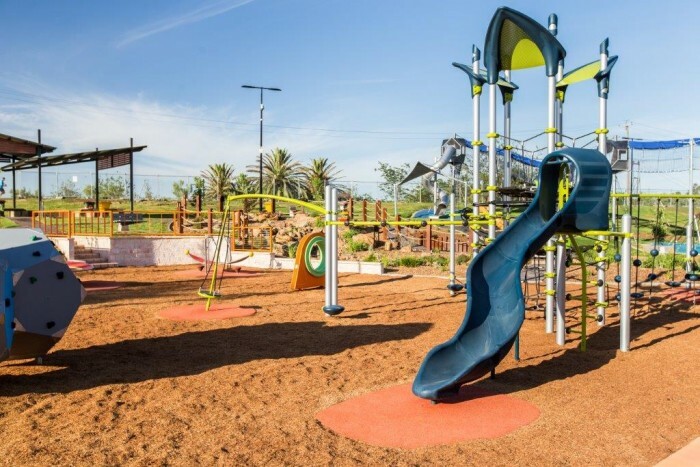 Other play areas, a bike track and boardwalk, fitness circuit and flying fox create a space for everyone to enjoy, and enhanced lighting, ample parking and laser cut steel panel fencing have made it a very usable space for the community. To complement the recreational fun, there is also a new cafe/restaurant which has been created through a Public Private Partnership – where there’s coffee, people will always stay longer! 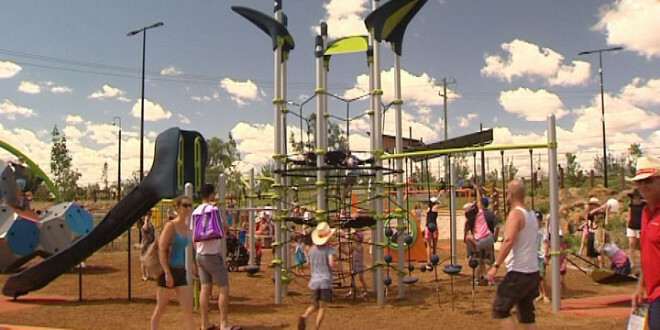 Tamworth Regional Playground was funded by a $1.1million NSW Government Clubs Grant, along with the same amount contributed from Council. All the hard work, commitment and planning has certainly paid off with a valuable community asset that will be well utilised for many years to come.